En mi mente y en mis sueños siempre he tenido un walking closet, y ahora que nos mudamos a un loft abierto, nos inventamos uno, que esta por armar. Buscando inspiración en pinterest, recopile ideas que me gustan. 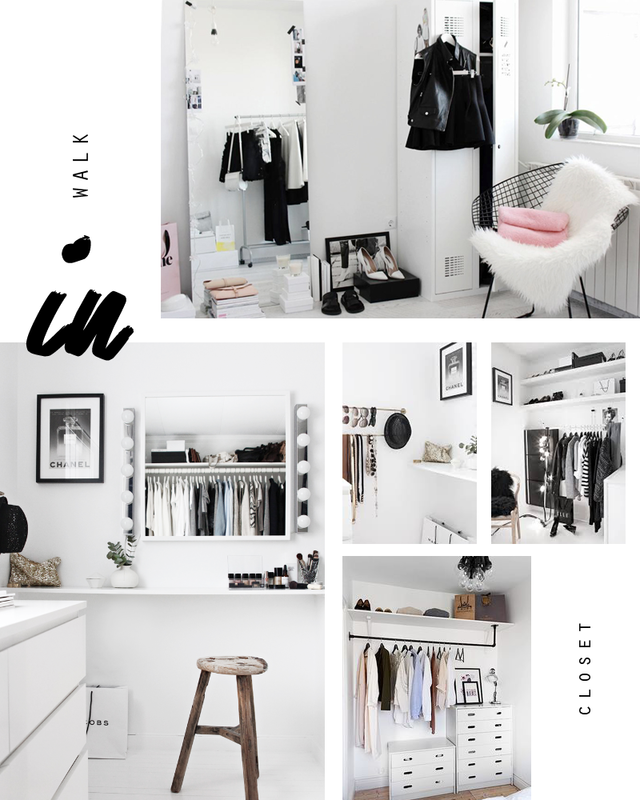 Desde industrial hasta minimalista y basado en el hermoso closet de Nina de stylizimo blog, todo con un concepto organizado. Les mostraré avances de este espacio pronto. Excelente fin de semana! In my mind and dreams always existed a walking closet, and now that we move to an open loft, we created one, that its in process. Looking for inspo on pinterest, i colected ideas that i love. 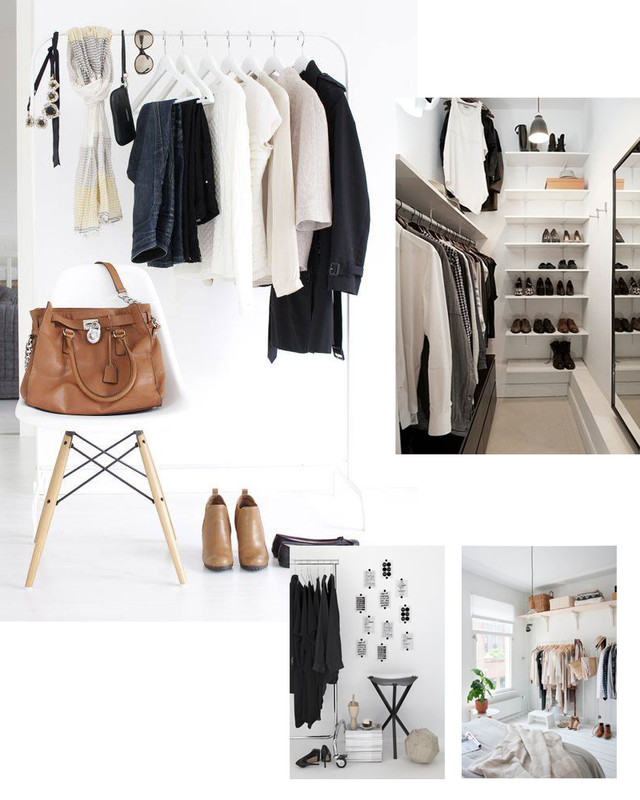 From industrial ones, minimal and the gorgeous closet of Nina from stylizimo blog, all with an organize concept. I will show the progress soon. Nice weekend!